Scientists at the University of Freiburg (Germany), the Sustainability Center Freiburg, and the Fraunhofer-Gesellschaft are collaborating on a new research project that will test the feasibility of scandium aluminum nitride (ScAlN) as a new semiconductor for next-generation power electronics. The Research of Functional Semiconductor Structures for Energy Efficient Power Electronic (Power Electronics 2020+) project seeks to find a path forward for more energy efficient and more powerful electronics, according to a press release from the Fraunhofer Institute for Applied Solid State Physics. 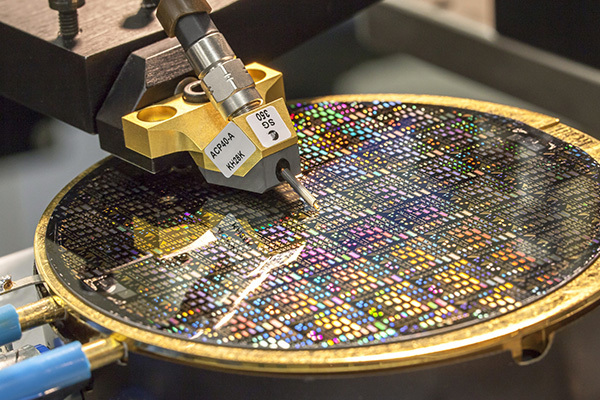 With silicon reaching its physical limits, there has already been a move within the electronics industry to use wide bandgap materials such as silicon carbide (SiC) and gallium nitride (GaN). The Power Electronics 2020+ project seeks to go even further with ScAlN. Researchers believe that combining the two materials will not only provide higher power density per chip, higher switching speeds, higher operating temperatures, and a reduction in errors, but also double the maximum power output of devices with a lower energy demand.